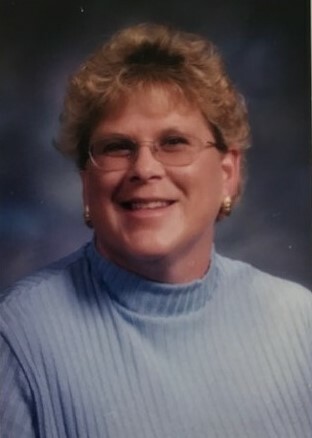 Mary Collins Dean, 60, of Beaufort, NC, formerly of Fairmont, NC, died Monday, April 1, 2019 at home. A memorial service will be held Saturday, April 6th, 2019, at 1:00 PM at Godwin Heights Baptist Church, 704 Godwin Ave., Lumberton, NC. Fellowship and refreshments with the family will follow the memorial service at the church. Mary was born in Lumberton to Rupert and Frances Collins. She received her Bachelor’s degree in elementary education from UNC-Wilmington and her Master’s degree from Cambridge Graduate University, Cambridge, MA. She taught school in New Hanover County, Robeson County and Carteret County School systems. She is survived by her husband Walter ( Joe) Dean, Sr., of Beaufort; her son Walter Joe (Jake) Dean, Jr. of Beaufort; her step-daughter Amanda Lamberson of Beaufort; her mother, Frances H. Collins of Lumberton; a sister Libbey C. Inabnit and husband Davis of Conway, SC; brothers and sisters-in-law, Furman Floyd, (husband of her sister Kerry), Valinda Sue Brock of Pittsboro, Lonnie Norman Dean, Jr. of LaGrange, Larry Dean of Otway, Brenda J. Riddle of Pittsboro, Regina Bridgeman of Pittsboro, Sandra Calhoun of Washington, NC; niece, Collins B. Faulk of Fairmont and many other nieces and nephews, and her step-grandchildren Tyler Stephenson and Khloe Lamberson both of Beaufort, NC. In addition to her father, her sister Kerry C. Floyd and a brother-in-law, Gary Wayne Dean, preceded her in death. In lieu of flowers donations may be made to the Carteret County Humane Society, 853 Hibbs Road, Newport, NC 28570 or to the Robeson County Humane Society, 3180 W. 5th Street, Lumberton, NC 28358.